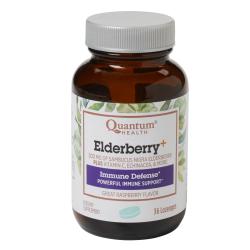 Help protect your family with the power of Elderberry. The Centers for Disease Control and Prevention has stated that the most recent season was the worst in history for immune challenges. 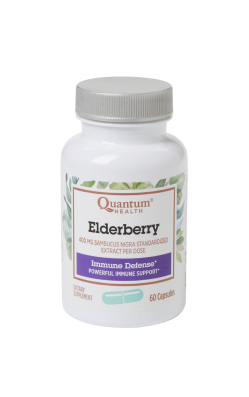 Quantum Health's Elderberry products are formulated with European Black Elderberry (Sambucus nigra), which is the form of Elderberry that has been extensively studied in multiple clinical trials. Whether you prefer capsules, lozenges, extract, or syrup, we have you covered. Please note, we are experiencing unprecedented demand for our Elderberry products. We are working hard to ensure we are able to continue to fulfill orders, and will be sure to update our website if any products go out of stock. Elderberry has been used in herbal traditions for centuries. 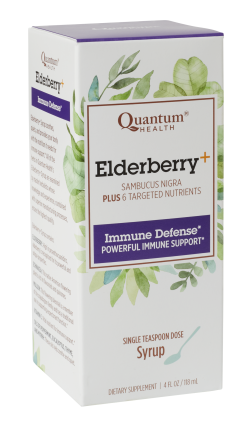 Today elderberry has been found to promote a balanced immune response, possibly through affecting macrophage activity. Why not rely on an ingredient that supports your body’s immune response? Make Elderberry+ Syrup your family’s go-to seaonal formula. Ingredients: Vitamin C (ascorbic acid), elderberry fruit extract (5% total flavanoids), marshmallow root, Echinacea angustifolia root (4% echinacosides), mullein leaf. Other Ingredients: Sorbitol, stearic acid, natural raspberry flavor, magnesium stearate, menthol flavor, stevia leaf, eucalyptus leaf, peppermint flavor. One dropper-full provides 700 mg of Sambucus nigra extract. 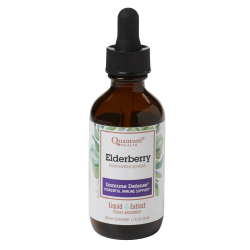 Elderberry LE provides the fastest absorption potential and the highest dose of all our elderberry products. NOTE: Alcohol tinctures should be swallowed immediately and not held in the mouth or under the tongue. LE may be diluted with 1 to 2 ounces of water. Ingredients: Elderberry extract (Sambucus nigra), alcohol [20% content, corn grain], distilled water.